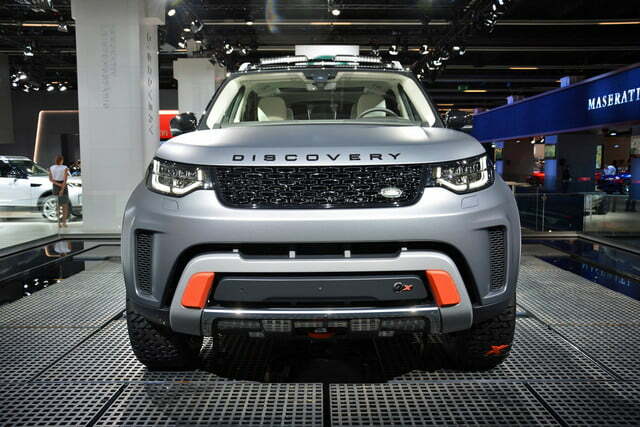 From the fast and fun F-Type SVR and Range Rover Sport SVR to the insane XE SV Project 8, we’ve seen that Jaguar Land Rover’s Special Vehicle Operations (SVO) knows a thing or two about on-road performance. 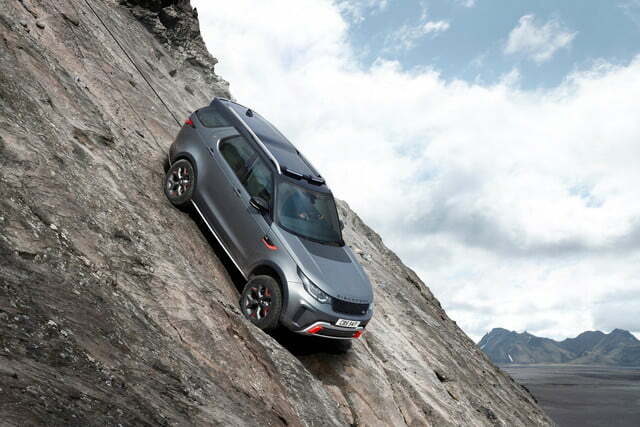 But what about off-road? 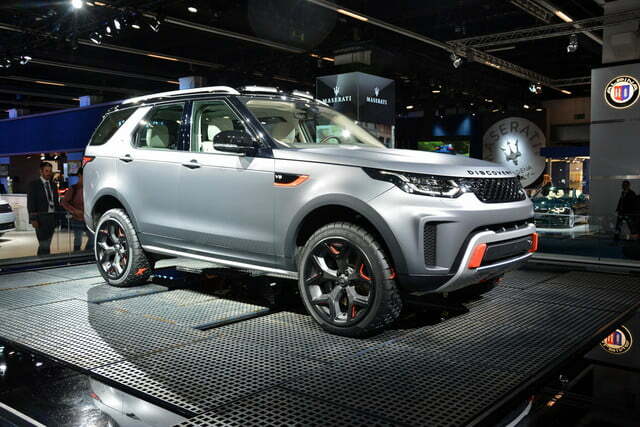 At the 2017 Frankfurt Motor Show, SVO unveiled the Land Rover Discovery SVX. 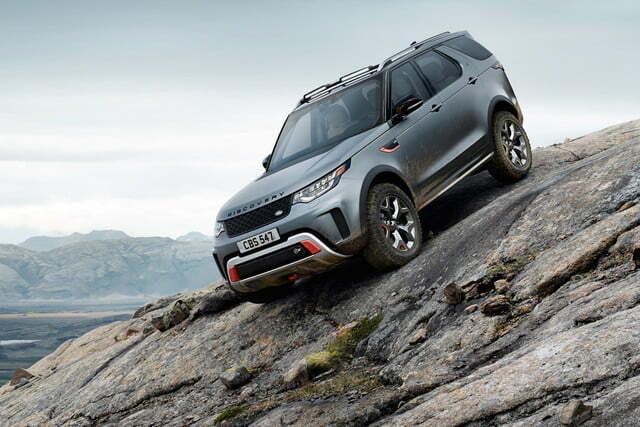 It’s an attempt to dial the already capable Discovery up to 11, and create the ultimate off-roader. 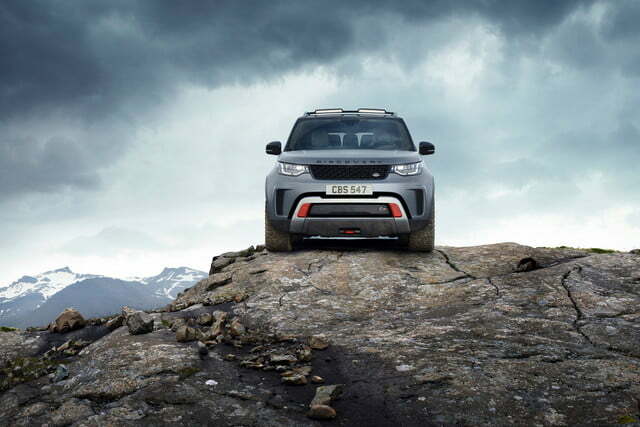 Launching in 2018, and marrying Land Rover luxury with more extreme off-road capability, it will be the perfect vehicle for rich wilderness recluses. 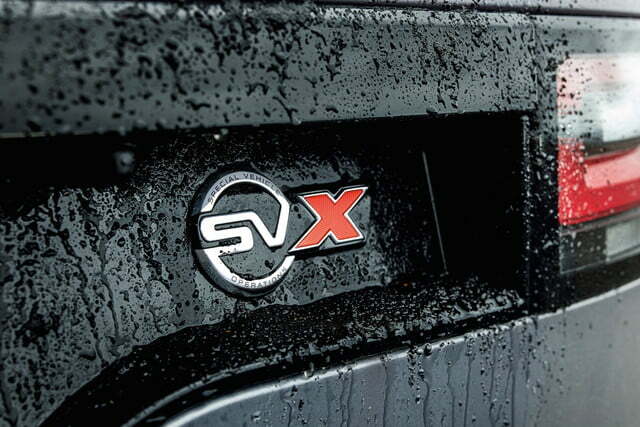 The SVX uses Jaguar Land Rover’s ubiquitous 5.0-liter supercharged V8, in this case producing 525 horsepower and 460 pound-feet of torque. 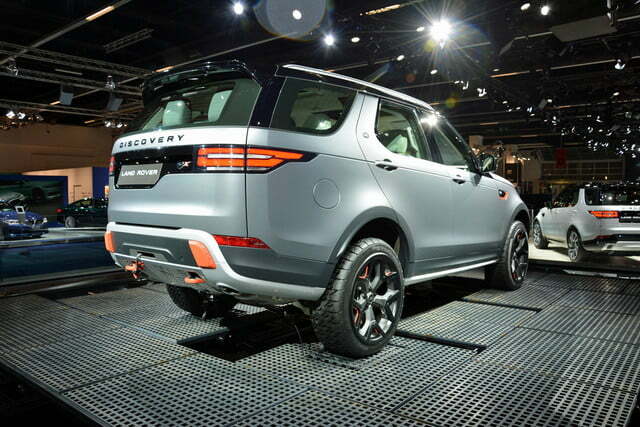 SVO kept the eight-speed automatic transmission used in other Discovery models, but changed the software. 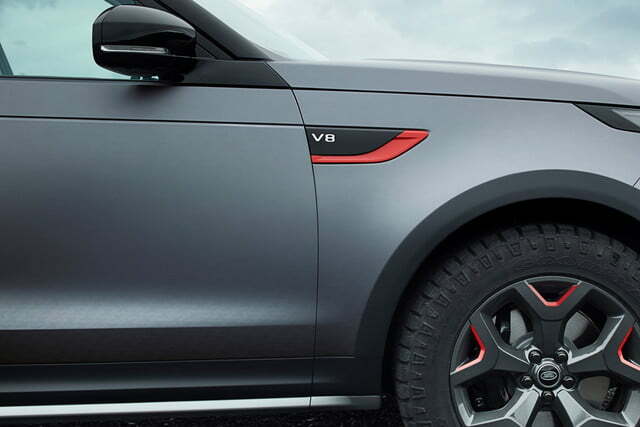 It also applied software tweaks to the electric power steering and added long-travel dampers to the suspension, helping the SVX clear obstacles more easily. 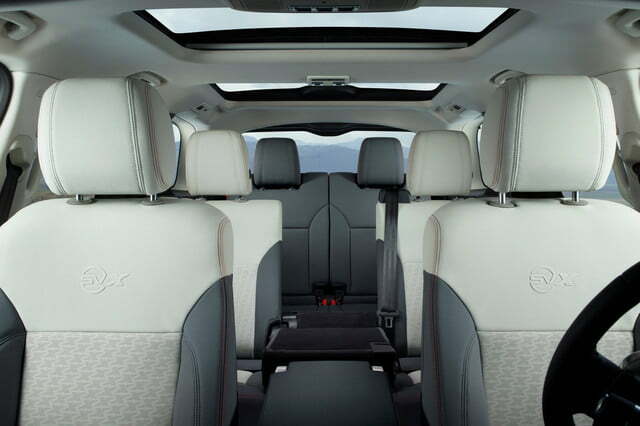 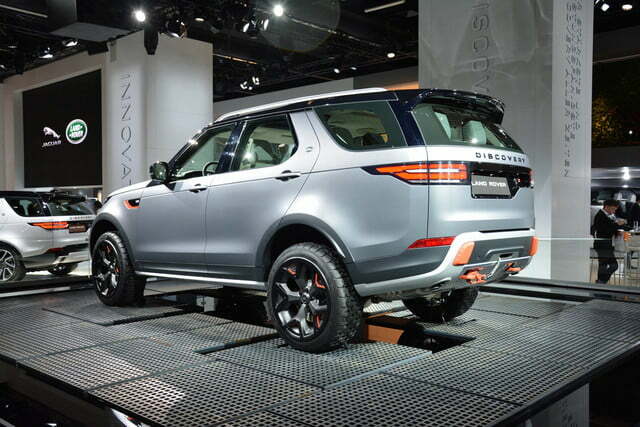 SVO also equipped the Discovery SVX with “Hydraulic Active Roll Control” to better manage body roll. 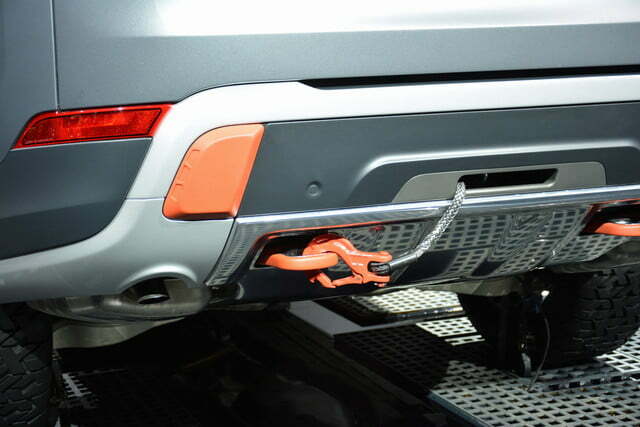 This keeps the body from swaying during on-pavement driving, improving handling, but also allows for increased wheel articulation off road. 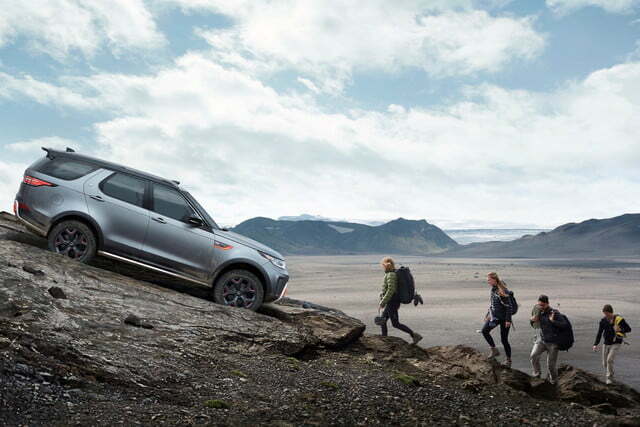 The SVX’s four-wheel drive system features active center and rear electronic-locking differentials, plus a tweaked version of the Terrain Response 2 system used in the non-SVX Discovery. 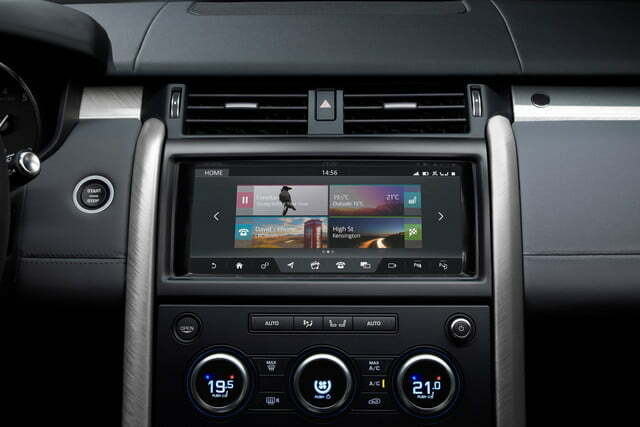 The system adjusts various vehicle parameters based on different types of terrain. 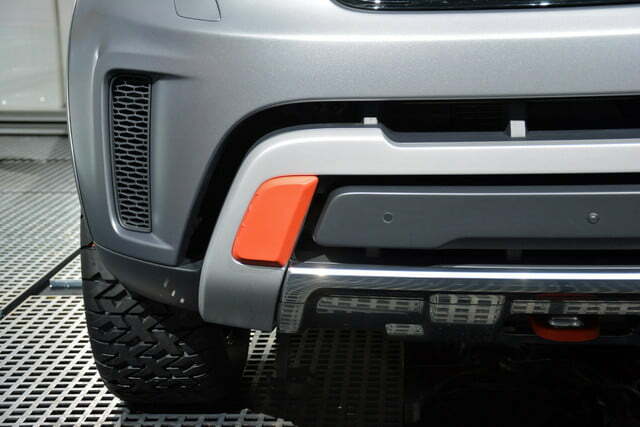 Visual changes include more aggressive front and rear bumpers with orange trim and a rear-mounted winch. 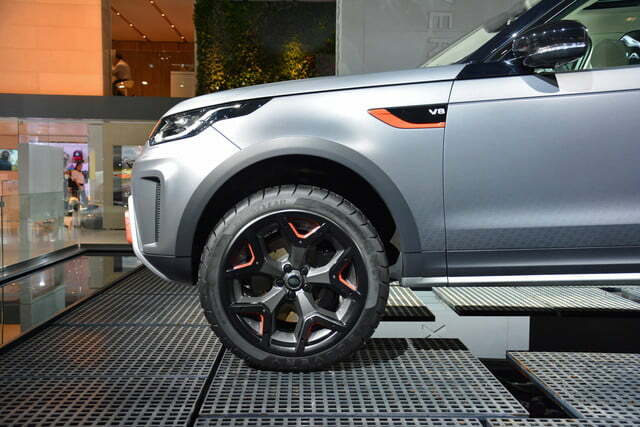 The SVX rides on 20-inch wheels with chunky Goodyear Wrangler tires that feature a more aggressive tread pattern and thicker sidewalls than non-SVX Discovery tires, two factors that should increase off-road performance. 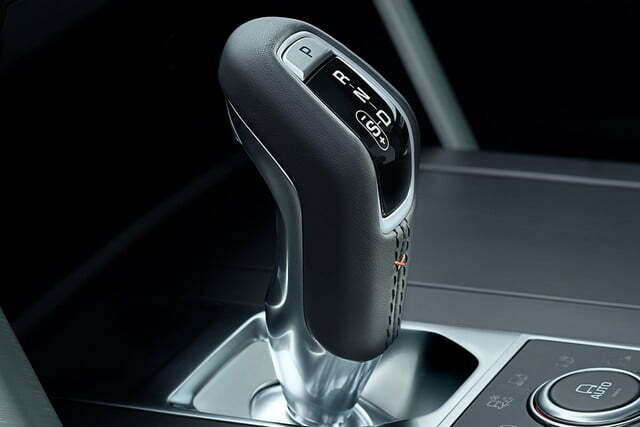 SVO also swapped out the standard Land Rover rotary shift knob for a traditional lever. 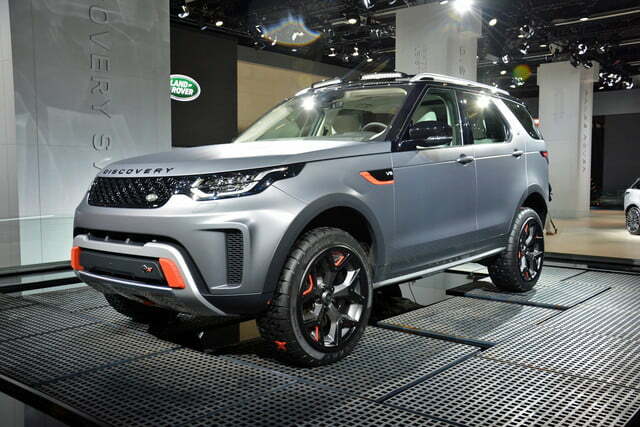 The Land Rover Discovery SVX debuting in Frankfurt is technically a concept, but something very similar will go into production next year. 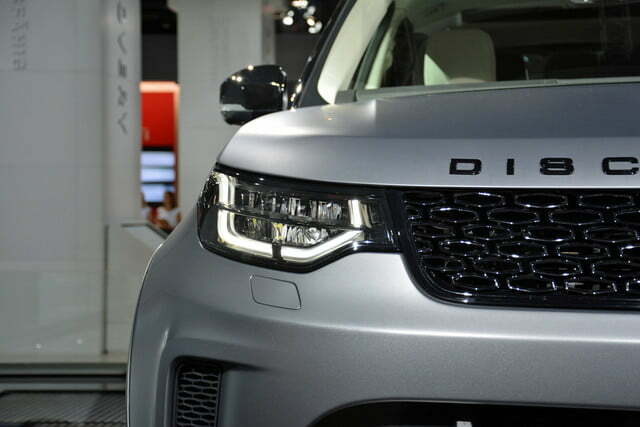 Given that Land Rover, along with sibling brand Jaguar, is planning to sell only hybrid and all-electric vehicles after 2020, the SVX might be one of the last of Land Rover’s old-school models. 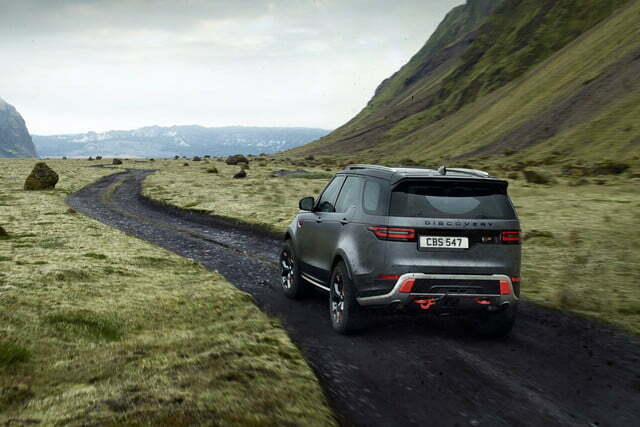 With V8 power and extra off-road ability, it should be quite the final act.